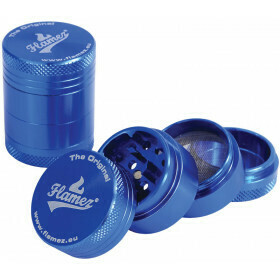 This classic, pitch black, 3-part plastic grinder by Flamez has a nice full colour logo image. It has a diameter of 50mm and made of high quality material. Making grinders from brand new plastic is really bad for the environment. Which is why we recycle plastic! Our grinders are produced from genuine recycled THC plastic. You'll be amazed, however, how strong, sleek and of impeccable quality these grinders are! 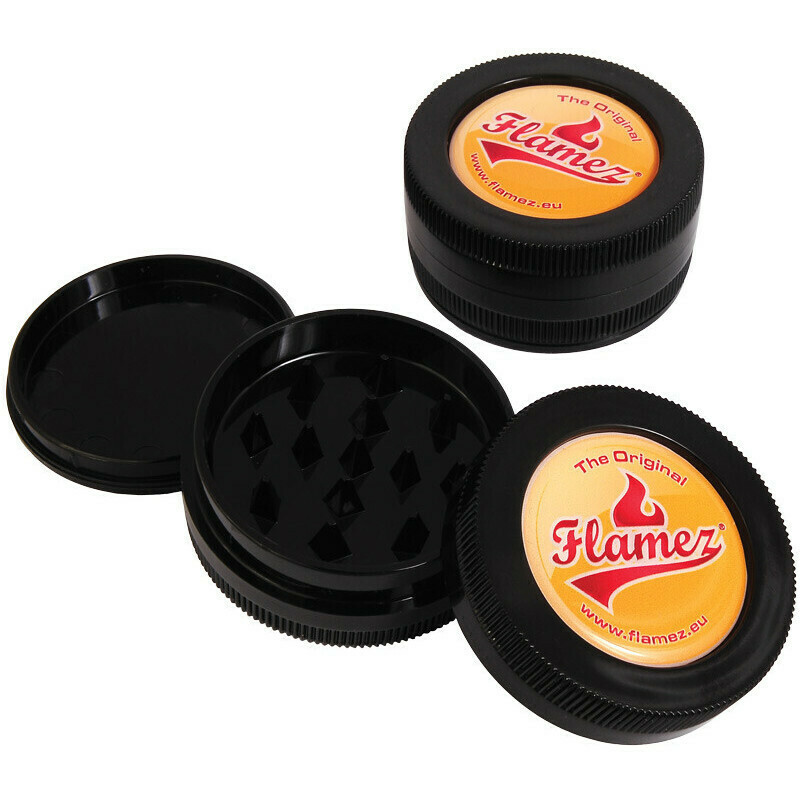 This classic, pitch black, 3-part plastic grinder by Flamez has a nice full colour logo image. It has a diameter of 50mm and is the type of top quality product we can only be immensely proud of. Important note: Do you own a store or are you a distributor, and would you like to offer this product? Make sure to look at our B2B website TGC Trading.com for interesting offers!